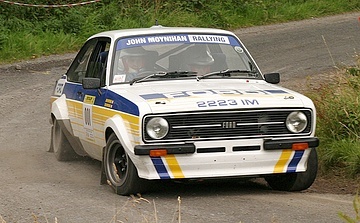 This is the latest complete build from the workshops of John Moynihan Rallying. 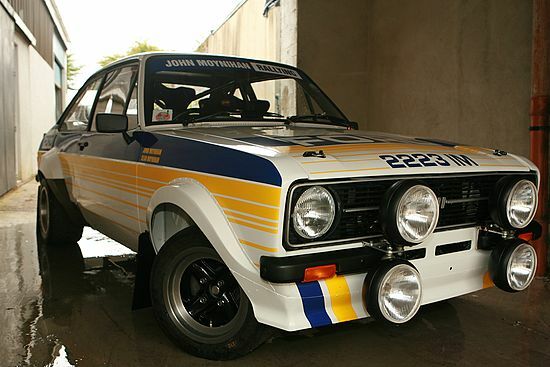 This car was built from a bare shell into the ultimate spec full Group 4 RS1800. The car is finished in the livery of the late Frank Meagher and carries the same reg number 2223 IM that achieved many memorable results for the highly rated Tipperary man. The car had a very fitting maiden outing on the the 2009 Stonethrowers Rally in Clonmel. The event was Frank's local event and an event he won many times. 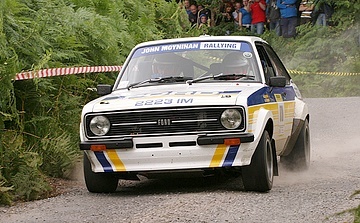 John Moynihan Rallying, West End, Millstreet Town, Co. Cork. Ireland.